This hardhat can be used with 3M Powered Air Purifying Respirator (PAPR) or Supplied Air Respirator Systems. It is designed for welding operations which must have industrial protective headgear. It has an assigned protection factor of 25 x PEL. 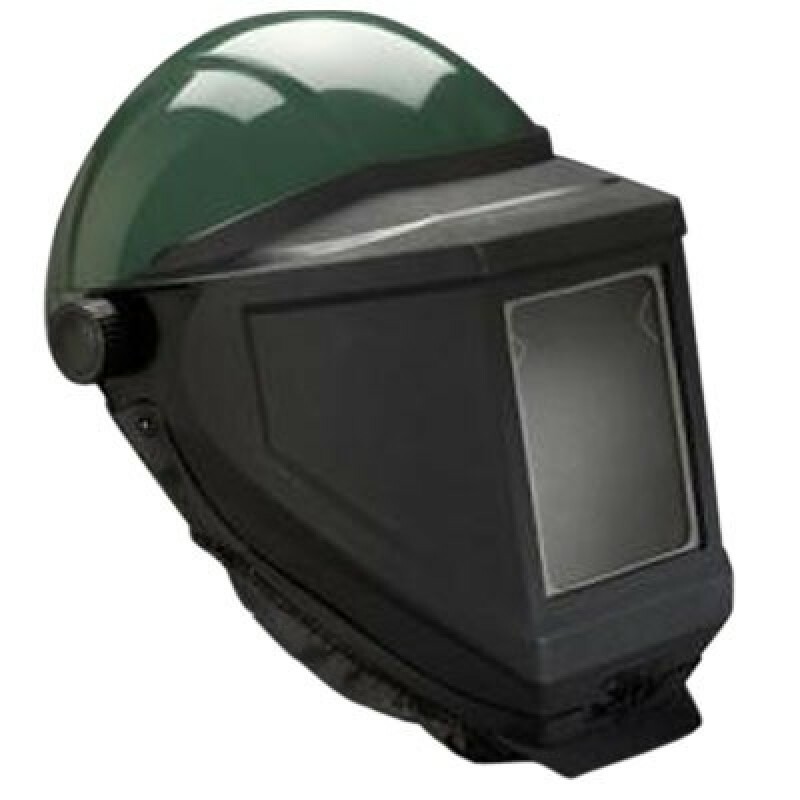 Provides limited head protection (meets ANSI Z89.1-2003 Class I plus Class II side impact requirements). Loose-fitting faceseal attaches to faceshield to help provide respiratory protection. Fully adjustable for a comfortable fit. Standard 4-1/2" x 5-1/4" welding lens. Can be worn with eyeglasses and facial hair (do not wear if facial hair comes between the face and respirator faceseal).